Cameron Smith held off the challenge of fellow home favourite Marc Leishman to successfully defend his title at the Australian PGA Championship. The 25-year-old came into the final day at RACV Royal Pines Resort with a three-shot lead but found himself two behind after nine holes as Leishman turned in 32 to move ahead. However, Smith came home in 33 to sign for a 70 and finish at 16 under, two shots clear of the World Number 21. Smith’s second European Tour victory comes in just his 20th event and makes him the first player to successfully defend this title since Robert Allenby in 2001. England’s Ross McGowan broke the course record with a 63 to finish at 11 under alongside Australian Matthew Millar. McGowan birdied the third, fourth, fifth and eighth to turn in 32 and then made four birdies in a row from the tenth to get into double-figures. Another gain came on the 15th, and he parred his way home for a place in the history books. 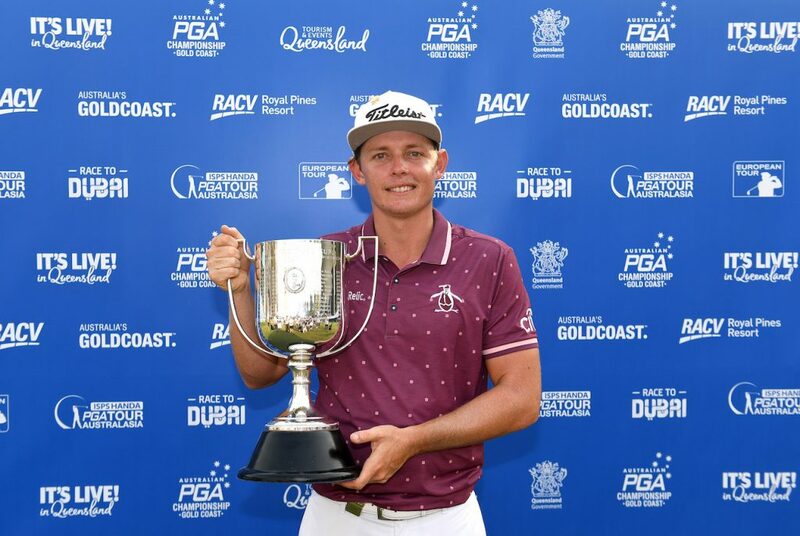 Jake McLeod signed for a closing 74 to finish in a tie for 19th and that was good enough to secure the Australian the Order of Merit on the PGA Tour of Australasia and a European Tour card for the rest of the 2019 season. The Australian catapulted himself into contention in the season-long race with a first professional win at the NSW Open three weeks ago and he followed that up by finishing third at the Australian Open and securing a spot at The Open Championship in the process. South Korea’s Jaewoong Eom finished at seven under, a shot clear of Australian trio Ben Eccles, Nick Flanagan, and Jason Scrivener.